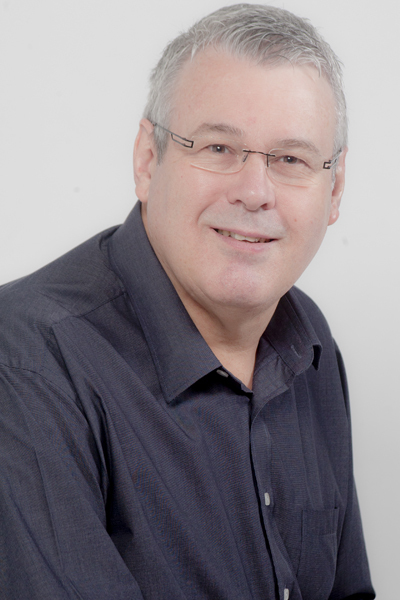 Dr Frans A Korb received the following university qualifications: B.Sc (Hons) (UFS), M.A. Clinical Psychology (Wits), M.B. Ch.B. (UCT), M.Med. Psychiatry (Wits). He is registered with the Health Professions Council of South Africa as a Psychiatrist (MP 0294705) and Clinical Psychologist (PS 0011533). He is currently in full-time private practice as a Psychiatrist (PR 2203022). Frans is a general psychiatrist with extensive experience in the management of mood disorders (major depression and bipolar disorder), anxiety disorders, psychosocial rehabilitation of psychotic disorders, ADHD in children and adults as well as psychiatric aspects of sleep disorders. Besides being in private practice, Frans is also a clinical consultant at the Siyathuthuka Care Centre for Life Esidimeni (Belfast, Mpumalanga) and consult for PHI Discovery Health and Sasolmed. Since 1987 he has been a Vice-President and the Chairman of the Medals and Merit Committee of the Southern African Association for the Advancement of Science (S2A3). He has been involved with the South African Depression and Anxiety Group (SADAG) (and is currently on their board) almost since its inception in 1994. He is also a guest lecturer in the Department of Psychology, University of Johannesburg. He is frequently invited as an examiner for the Department Psychiatry, University of the Witwatersrand and Colleges of Medicine of South Africa. Frans completed his clinical psychology internship at Tara Hospital the H Moross Centre (Johannesburg) and his medical internship at the No 1 Military Hospital (Pretoria). He was a registrar in psychiatry at the Department of Psychiatry University of the Witwatersrand before entering into full-time private practice in Johannesburg in 1991. During this time he served as clinical consultant for the Talisman Foundation for Psychosocial Rehabilitation (1987-2010), Medical Advisor (CNS & Anti-inflammatories) Pfizer Laboratories South Africa; Psychiatrist/Clinical Psychologist and Global Medical Advisor (Neuroscience) Eli Lilly (SA) (Pty) Ltd and Medical Advisory Board and Consultant Psychiatrist Discovery Health. At various times he was on the advisory boards of Eli Lilly & Company, Pfizer, Lundbeck, BMS, Servier & Janssen Pharmaceutica. He also participated in several clinical trials for Janssen Pharmaceutica, Roche, BMS, Lilly, Servier and Pfizer Laboratories. Past executive appointments include the University Science Students’ Association of Southern Africa (USSASA), Associated Scientific and Technical Societies of South Africa (AS&TS), Southern African Association for the Advancement of Science (S2A3), University of the Witwatersrand Psychiatry Registrars’ Association, South African Association for Child and Adolescent Psychiatry and Allied Professions (ACAPAP), South African Society of Psychiatrists (SASOP), Southern African Society of Biological Psychiatry, the Rotary Club of Sandown, South African Sexual Health Association (SASHA), and the South African Depression and Anxiety Group (SADAG). In 1989 and 1992 he received a Certificate of Merit from the Southern African Association for the Advancement of Science. Frans is also an invited full member of ‘Die Suid-Afrikaanse Akademie vir Wetenskap en Kuns’ (from 1993). Frans regularly attends and presents at local and international conferences, runs workshops, presents posters, courses and CPD Programmes. He has written several scientific articles, authored and consulted on numerous magazine and newspaper articles, and is widely recognized as a radio and television guest psychiatrist.